This friendly pod of dolphins visited us during our dive to play with us and let us touch and hug them. They played with our bubbles and seemed to enjoy feeling the bubbles on their bodies. They wanted us to give them belly rubs… they wiggled their tails when they enjoy the massages. 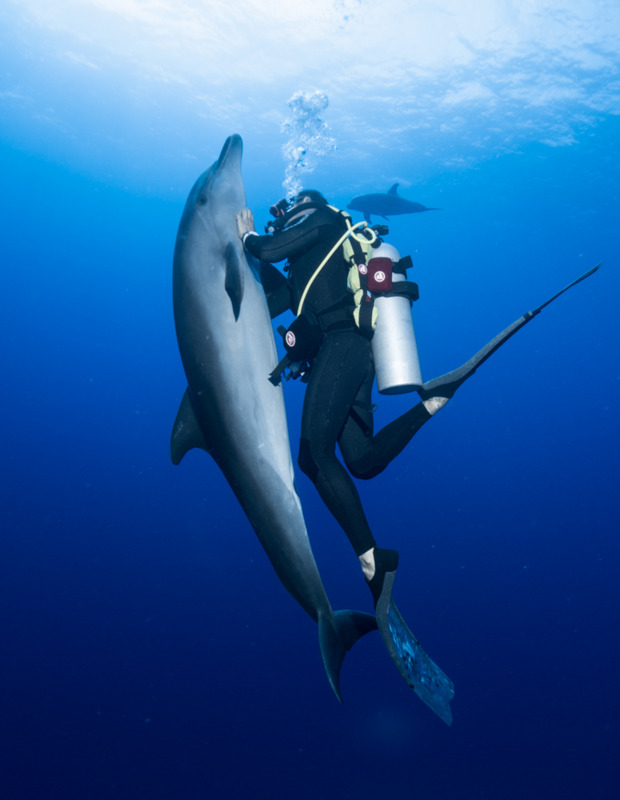 I have never experienced this type of intimate encounter with wild dolphins. I think I understand why so many people want to go for a romantic getaway in French Polynesia. Please Note: This is a printout of the Ocean Safari Scuba | Blog | Dreaming of Dolphins page from 04/22/2019. Some information may have been updated in the mean time. Please visit PAGE URL to view the latest up-to-date information or call us at 626-287-6283 if you have any questions.